Today we added a new button to two pages on the ONS Beta website. This button represents the first step of the next phase of ONS’s website. So, why this button? Why now? Well, statistics are important and ONS has an awful lot of them. These statistics help determine where hospitals get built; markets move on the outcomes of the numbers ONS publishes. They are a consistent reference point at times of conjecture and in doing so play a vital role in the broadest range of choices we each make. Making sure all of these statistics are open and easy to use is a mission for the entire organisation. Why open? Well, statistics need to be open because they are yours. They are funded by you and for you and it is our job to get them to all of you in the most appropriate way. How can they be easier to use? Earlier this year, the web team at ONS completed an Alpha project. This broadly means that we reviewed all of our research undertaken with users, looked at the technology, looked at efficiencies in finance and process and decided to try and build a new set of features for the website. It was an educated guess, so the Alpha part was us backing ourselves to build something that ran on rainbows, unicorns and wishes behind the scenes, but looked real enough so that we could put it in front of people and understand if these new ideas made things better for them. It wasn’t perfect. It needed some adaptation. But the kernel of an idea was definitely there and verified. So, one by one, what will this practically mean? Allowing you to find data more easily is the sort of fundamental statement that may just sound too generic to mean anything, but it has specific context here. We know, from looking at analytics and user research, that you are all downloading large numbers of excel files from ONS’s site. In part, this seems to be because a lot of people are not quickly finding the things they want. So, part of the aim of this project is adding more contextual data to our existing web pages. This might include the dimensions used, the geographic areas covered and so on. The aim being that it becomes easier to understand what is in a dataset before downloading it. We are also working hard to improve the in site search functionality at this stage as well. More on that soon. In undertaking this range of work, we have changed large sections of the site infrastructure to give us the capability to offer a consistent data view. In the coming weeks we will be making more of this by providing a consistent API view onto the data. We hope this will unlock even more of the potential contained within the statistics to an even wider audience. In the meantime we will be rolling this functionality out to more of our datasets and listening hard to the feedback we receive. 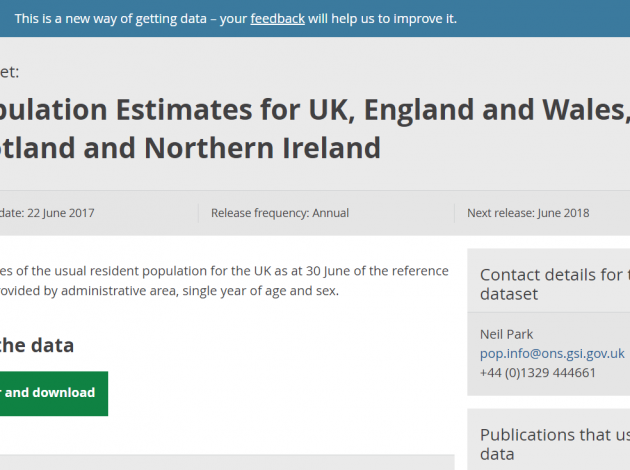 Please do let us know what you think via the links on the Beta site or emailing Customise.My.Data@ons.gov.uk. 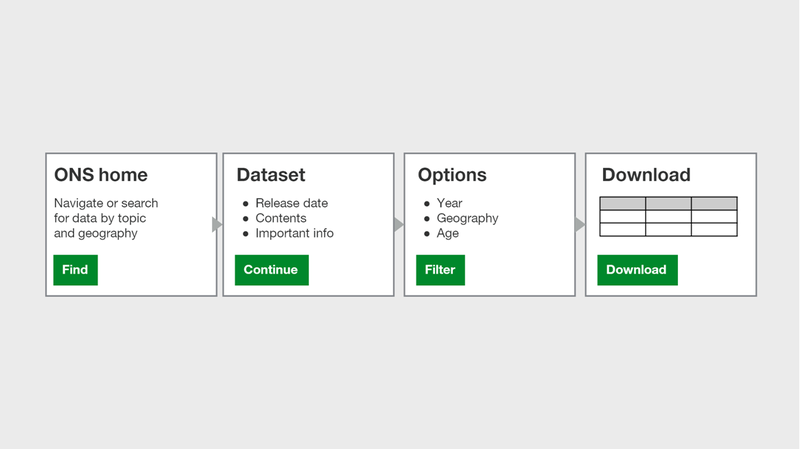 A functionality that allows users to customize and retrieve relevant dataset all in one go is brilliant.